MacDonald, Dettwiler and Associates Ltd. (“MDA” or the “Company”) (TSX:MDA) has announced that their subsidiary, Space Systems Loral (SSL), has signed a contract to provide JUPITER™ 3, a transformational Ultra High Density Satellite (UHDS) to Hughes Network Systems, LLC (HUGHES) to be designated EchoStar XXIV. The technologies included in this satellite will provide more concentrated capacity over high-use areas than any other satellite and will power future generations of Hughes consumer, enterprise and aeronautical services across the Americas. 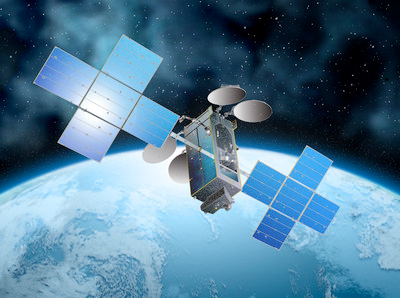 SSL is the leader in putting broadband capacity on orbit and previously provided Hughes with record breaking high throughput satellites in 2016 and in 2012. However, this EchoStar XXIV/JUPITER 3 Ultra High Density Satellite will feature an entirely new architecture based on a broad range of technology advances that include the miniaturization of electronics, solid state amplifiers and more efficient antenna designs. SSL has patented 18 technology advances that were incorporated into the spacecraft design, enabling it to provide highly concentrated capacity in critical areas. According to Dario Zamarian, Group President at SSL, the new capabilities that SSL has developed will underpin the next generation of satellite systems that will serve the increasing consumption of data around the world. This breakthrough in performance demonstrates the company's commitment to broadening the markets that the firm serves. It also demonstrates the success of SSL's internal research and development programs, which will help to ensure that space continues to be an essential part of the world’s networking and telecommunications infrastructure and will help drive the next wave of growth in the sector. Pradman Kaul, the President of Hughes Network Systems, added that SSL is a trusted partner with exceptional engineering talent and a commitment to making high speed communications more accessible around the world. EchoStar XXIV/JUPITER 3 will deliver unprecedented levels of service by concentrating capacity where the users are. The demand for broadband capacity only continues to increase and, with this satellite, Hughes will be able to deliver more speed, more data, and more advanced features for consumer, enterprise, aeronautical and community Wi-Fi customers across the Americas.